“The technical proficiency on display from the band members is also incredible, from the drumming to the excellent guitar work of both four and six string varieties. The set is of course made up solely of songs from the outstanding debut album Black Wash, and they come across just as well if not better in the live environment”. As someone who has lived in the northern reaches of this country for over five years now, even to me, the weather in Manchester is bitterly cold, so it must be a real shock for tonight’s headliners Pagan, hailing from the far flung sunny climes of Australia. Unfortunately, due to the poor running of certain transport services combined with an unusually early show time, I arrive at Satan’s Hollow after two of the four band bill have already played. 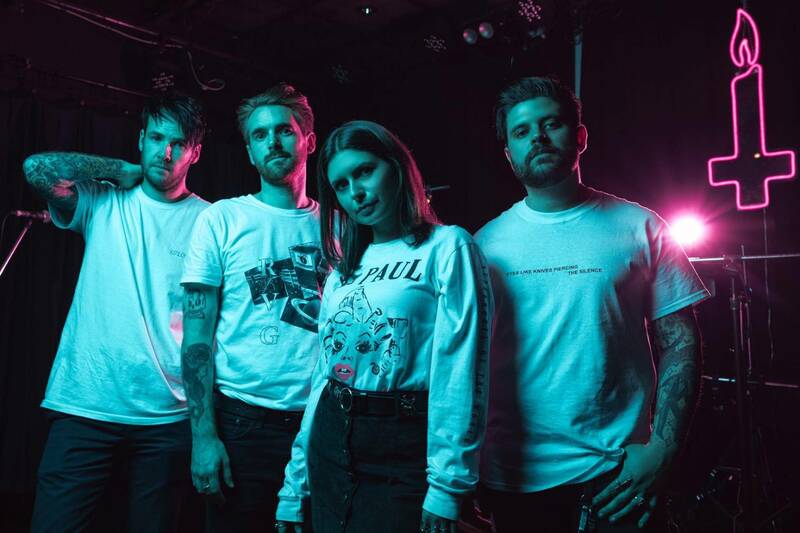 For a fledgling band with only one EP on Spotify, Phoxjaw have a confidence and swagger in their live set that you would associate with a far more experienced band. Battling some slightly muddy sound issues, the groove infused riffs still sound excellent and they more than keep the crowds attention. 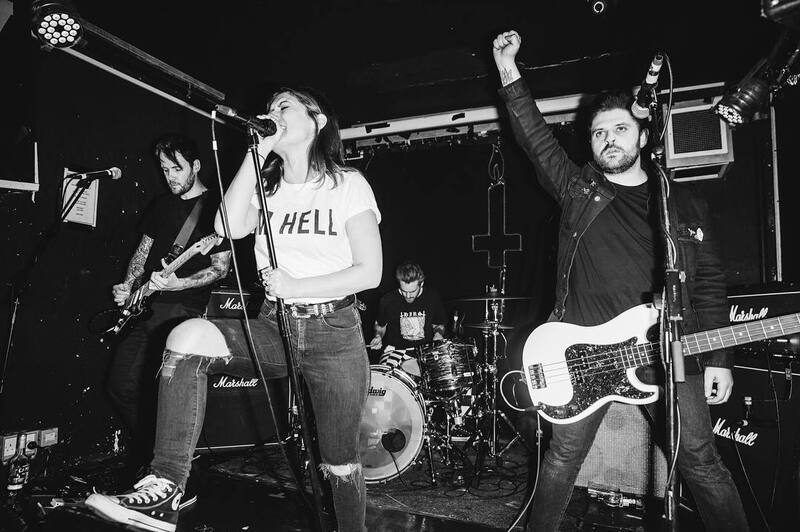 This is a band with clear potential and from this brief support set, it’s easy to see why they’re being talked up as a brilliant new band, as songs like Triceratops and Dinosaur Bones both have everyone in the venue nodding their heads to the hypnotic riffs. It’s great to see a band who care about the overall sound as well: adding strange noises and effects between songs, they leave to the deafening whine of feedback and will certainly have added some new names to their growing fan-base. Pagan take to the stage at 20.45, and their 45 minute set feels like it’s over in 20. Vocalist Nikki Brumen wastes no time in coming to the front of the stage, foot on monitor, and screaming in to the crowd. As a front woman she is electric, bouncing around the stage and throwing herself on the floor, but never to the detriment of her vocals which sound consistently fantastic. The technical proficiency on display from the band members is also incredible, from the drumming to the excellent guitar work of both four and six string varieties. The set is of course made up solely of songs from the outstanding debut album Black Wash, and they come across just as well if not better in the live environment, particularly the inescapable Death Before Disco and Silver which, if you’re not compelled to throw yourself about to, may mean you’re dead inside. The stuttering Blood Moon is one of the pinnacles of the set, feeling like a flurry of musical punches, with no idea when or where the next will land. This was a tour de force from one of the most excellent bands emerging right now and it will be incredibly exciting to see them return in the future, once they have a set-list bolstered by future anthems.